Thanks to durable and fine reproduction of vehicle parts the front loader is fully movable. 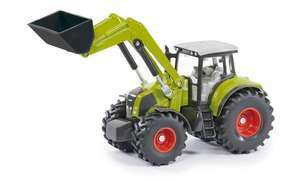 The shovel also swings out for loading and unloading. 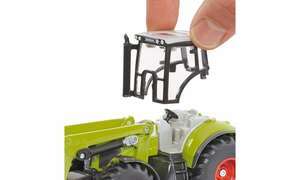 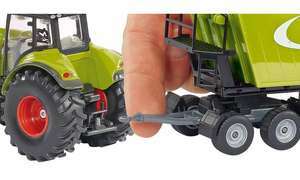 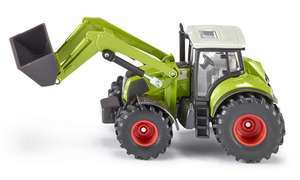 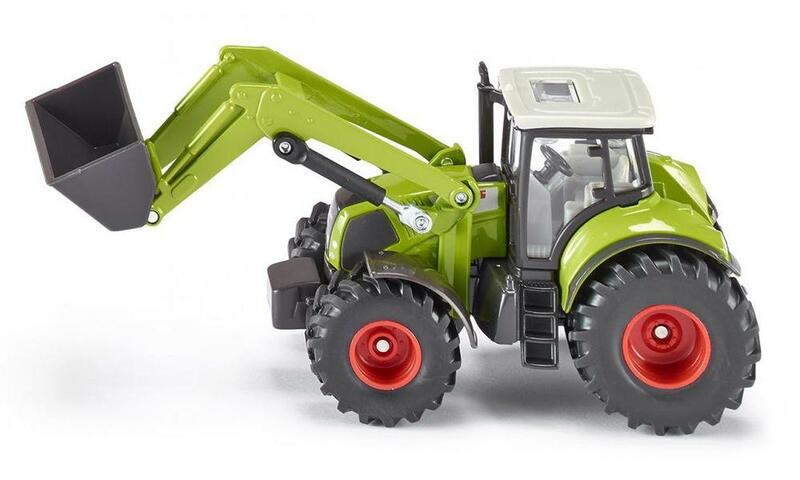 The front and rear coupling of this Claas tractor are also fully compatible with 1:50 scale agricultural trailers. 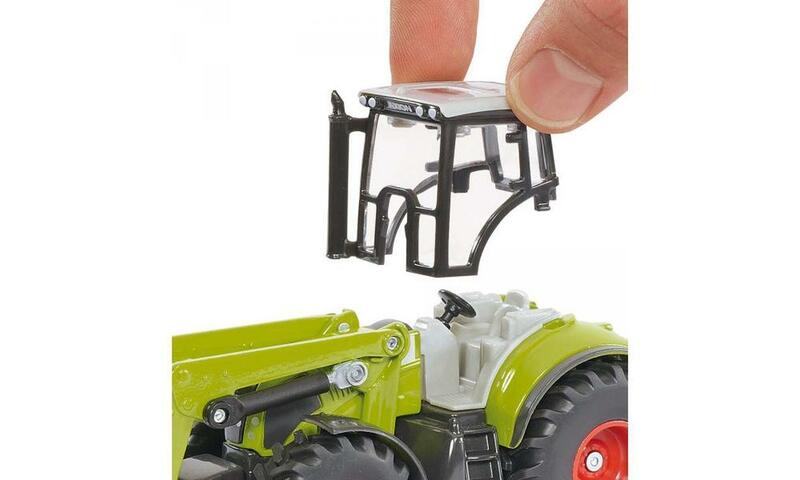 The fine detail of the 1:50-scale miniature tractor based on Harsewinkel agricultural machinery is confirmed by the glazed cab, which is detachable, and reveals finely made interiors. 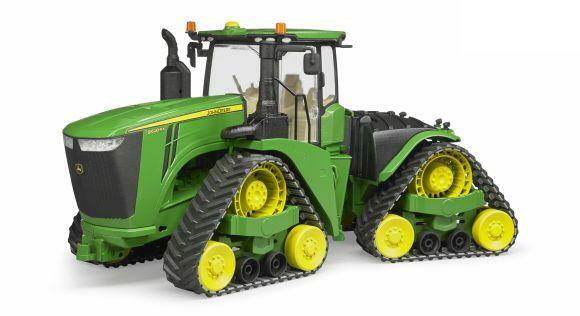 Rubberized tyres guarantee solid traction and make handling and play great fun!